Smokers come with a variety of different tastes when it comes to smoking the premium cigar. 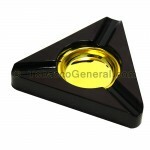 Most smokers that wish to experience the ultimate premium cigar, however, don't wish to spend over 100 dollars per purchase. What they wish for is something slightly more inexpensive and affordable, yet still good in quality. Those smokers wishing to seek such a cigar should immediately consider the Casa De Garcia Robusto Maduro Cigars. 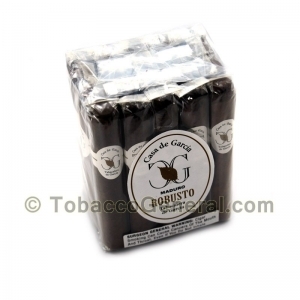 Like most of its brothers, the Casa De Garcia Robusto Maduro Cigars are a luscious, medium bodied smoke that are rendered by their parent country of Dominican Republic. The Casa De Garcia Robusto Maduro Cigars take on a straight design that is underpinned by their Maduro wrapper. Supplied by 4.75X50 dimensions, the Casa De Garcia Robusto Maduro Cigars are a perfect, long-term smoke that is great for any smoker not looking to overspend. Tobacco General is offering very low prices on these Casa De Garcia Robusto Maduro Cigars so that they satisfy the consumer demand that is highly focused on affordability. Try these premium cigars now!